Do you ever feel like someone’s following you… on the internet? You’re browsing for some shoes on Amazon, then you suddenly see advertisements for shoes. You look for a good restaurant to eat at and then you find another ad for the best restaurants in your area. Or, you’re researching for your getaway next trip, and start to see deals on flights and hotels pop up on Facebook and Instagram! It seems like these days, retargeting ads are everywhere. And for good reason, because they work really well. Have you ever wondered why people use retargeting ads? ​And how you can do the same in your business? WHY DO PEOPLE USE RETARGETING ADS? Statistics show that most people that visit your website, leave and don’t come back. Retargeting allows you to bring those people back to your website. Retargeting allows you to generate leads with those that already know you. Retargeting allows you to turn your leads and prospects into buyers. What is retargeting? Retargeting, also known as remarketing, is a way of targeting people who have interacted with you in the past (by visiting your website, filling in a form online, etc). WHAT IS THE BEST SOCIAL MEDIA CHANNEL FOR RETARGETING ADS? You can retarget people on all the main primary social media channels (Twitter, Facebook, Instagram and LinkedIn). Although we’ve seen decent results on LinkedIn and Twitter, we’ve found Facebook and Instagram to be the best channels for retargeting people. Facebook and Instagram work particularly well because they have such a large user base. Chances are very high that the people you’re looking to retarget are personally on Facebook and/or Instagram. Even if you’re b2b, Facebook and Instagram still beat LinkedIn in terms of active users. HOW DO YOU RETARGET PEOPLE ON SOCIAL MEDIA IN YOUR BUSINESS? The most common way to retarget people is by installing a tracking code on your website. For example, by installing the Facebook Pixel on your website, you can track what pages on your website people visit, how long they spend on those pages and so on. The Facebook Pixel allows you to create smart retargeting campaigns, that don’t just target people who visit your website, but retarget people based on their behaviour on your website. You can also do something similar with the LinkedIn tracking code. Another way you can retarget people is through your email database. For example, on Facebook and LinkedIn you can sync or upload a list of your leads or customers to retarget them. WHAT IS THE BEST WAY TO RETARGET PEOPLE USING SOCIAL MEDIA? Once you’ve started to grow an audience and build traffic on your website through content and social media strategies, retargeting can be a very powerful way to turn those visitors into leads, those leads into customers and those customers into repeat customers. To keep things simple, I’m going to split the types of people you can retarget into three main classes – your warm audience, your hot audience, and your existing customers. Warm audience: People who have heard about you before but are not yet customers or leads. For example, they read your blogs, watch your videos, etc. Hot Audience: People that are leads and have given you their contact information, but haven’t actually bought anything yet. Existing Customers: Customers who have bought something from you in the past, but they could still purchase more stuff. The goal of retargeting your warm audience (people who read your content) is to make sure they become your leads and give you their contact information. The best way you can do this is by retargeting them with more content, but this time, ask for their name & email in order to access it. You can use webinars, videos, blogs and free guides as content in exchange for your potential customers contact info. Once you’ve got their contact info – you’ve converted them into a new lead and they are now one step closer to buying something from you! Once you start to generate leads on social media, the next step is to convert those leads into paying clients. That should ultimately be your goal when retargeting hot leads. The key to converting leads into paying clients is to build trust. Some ways you can do that is by sending them to a sales page, content that sells, a webinar about your services, or sometimes even a free consultation. Depending on how engaged your hot lead is with your business (for example, do they read all your blogs, open all your emails, watch all your videos, etc.) you can send them to the most relevant step to take them into a paying customer. If you have a group of customers who have bought something from you, but they could still purchase more stuff, it’s your job to take them to that next stage and become a repeat customer. For example, with my company, one of our entry-level services is a ‘done-for-you’ bespoke social media strategy. The next stage for customers who purchase this is to sign up for one of our ‘done-for-you’ monthly social media lead generation packages. You can retarget your existing customers by uploading a database for their names and emails to Facebook or, one of my favourite methods, send them to a specific landing page on your website which only specific customers can see. You can then create an audience on Facebook based on the people who visit that landing page on your website and retarget them with the next service you provide. Top tip: It’s much easier to sell something to an existing customer than it is to sell something to someone who has never bought anything from you before. 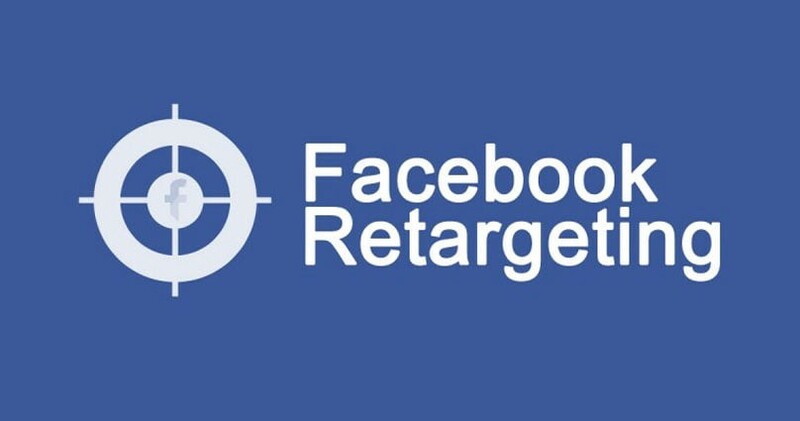 HOW MUCH DOES RETARGETING ON SOCIAL MEDIA COST? It depends on the size of your audience, but with most of our clients who don’t have huge audiences, the cost can be very small. I’m talking about spending as little as $2 to $5 (or £2 to £5) a day. You can basically spend as much or as little as you like. Like most things in marketing, start small and test it out. You can always increase your budget and scale up in the future. If you want more social media tips, tactics and strategies then check out our free online training sessions for how to generate leads and sales using social media.